The morning of July 4, the BC Bike Race packed up for the last time, and came rolling into the Olympic Plaza in Whistler Village. Racers were eager for those last "victory lap" 21 kilometers, but they came with a vertical punch that was tough to take. The riding was certainly a little clumsier, and the emotions higher than ever. 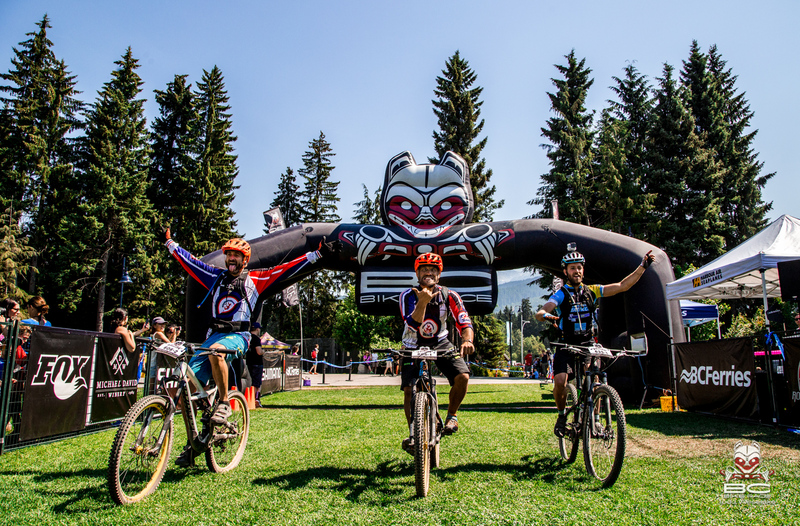 But if you could just make it up that first grueling, full-body singletrack, you could cruise through the rest of the downhill trending course all the way to Tippie's waving checkered flag, and the coveted belt buckle waiting just beyond. Tears, hugs, high-fives and laughter filled the plaza as one by one, racers crossed the line and checked off this major bucket-list item. The only thing hotter than the weather this week may have been the competition in the men's open category. Even with six days of battle under their belts, there was still much to be decided on the final day. In the end, it was Tristan Uhl from Austin Texas, racing for Competitive Cyclist aboard his team issue Yeti ASR C who brought it all home. "I had a perfect week," he said. "No mechanicals, no flats, no major crashes, and I had some good luck with Spencer taking a wrong turn giving me some free time. Everything kind of worked in my advantage this week, which doesn't always happen." As any racer can tell you, creating the circumstances for success is an involved process of checklists and preparation that can still be toppled over with just a little bad luck. Having everything come together for one day is tough; but seven in a row is a tremendous accomplishment. Uhl explained that his experience last year showed him how much fun this race can be. "It's always more fun when you're going good so I was kind of building up to this race, hoping to get a good result," he said. "I rode relatively conservatively early on–I knew from my past stage-race experience that the longer races suit me, I get stronger near the end. I wouldn't say I was taking it easy, but I was definitely trying to not kill myself." For Uhl, the week was all about figuring out a tactical advantage over the men from Kona, who outnumbered him three to one. "There was a lot of fighting for the first wheel into the corner," he said. 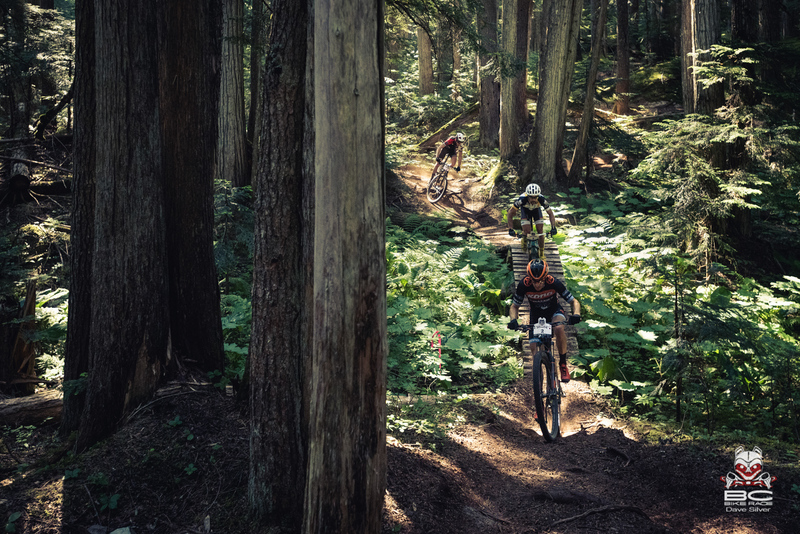 "A whole bunch of elbow throwing and stuff like that to get into the singletrack first. You gotta do what you gotta do sometimes." 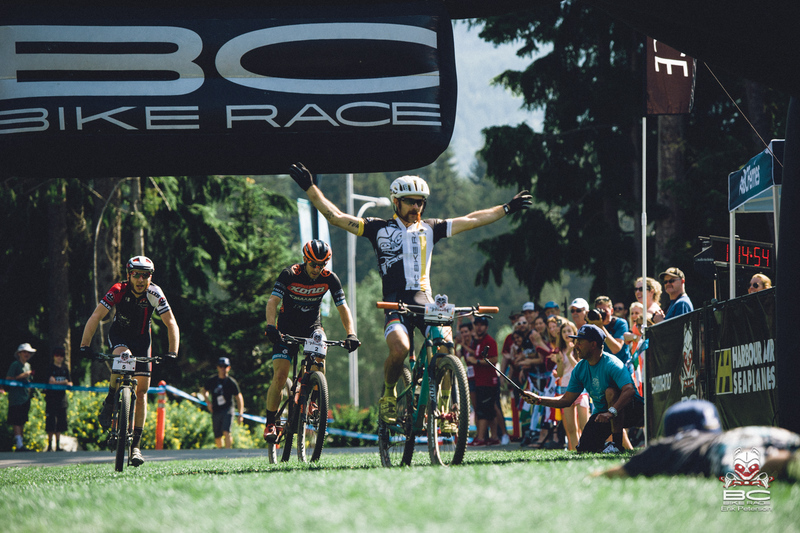 There is so much more to the BC Bike Race than the race so we asked Uhl what else stood out for him. "The flight into Sechelt was awesome, beautiful," he said. "I was super excited when I found out I was going to get to take the flight, and before the race, I was thinking even if I don't have a good day on the course, this will still be sweet. They flew us around a lake, right over the tree line, and then we blasted over a cliff's edge where there was a waterfall–it was awesome." 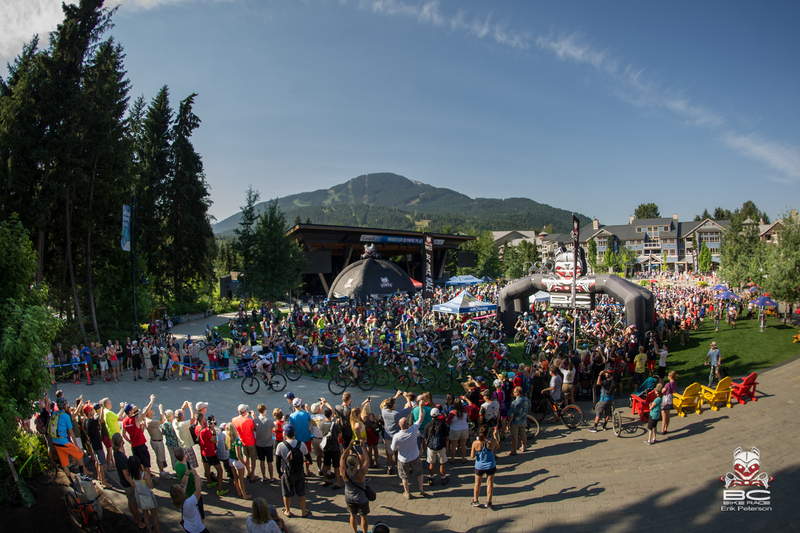 Uhl also called out Squamish as his favorite stage. "I was thinking how jealous I was of people that live there and ride those trails all the time," he said. 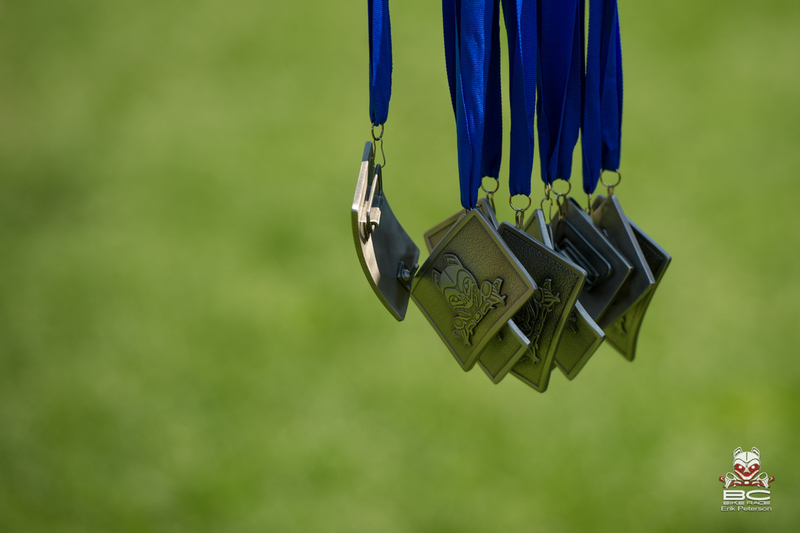 "There is such a wide variety of singletrack out there, and I thought the course layout was really well thought out too. We climbed for 15 or 20 minutes, hit a sweet singletrack, and then climbed some more." 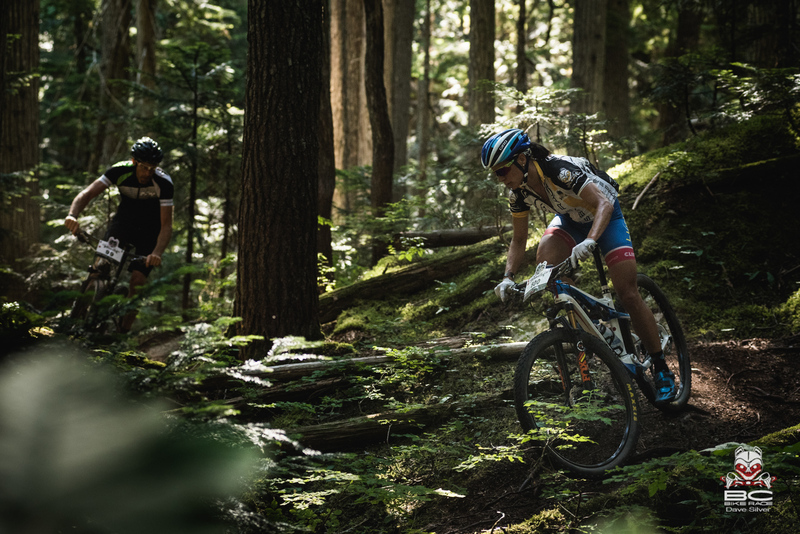 For Christine Shandro, winner of the Masters Women Solo category, her home stage of North Van stood out the most because she was able to count on the support of her friends and family, including husband and legendary North Shore rider Andrew Shandro. "It was really hard,” said Shandro. "I looked at times from last year, but it was way longer this year than last year, and I didn't have any conception of what it would be like to race day after day like that in the heat. I didn't expect it to be as full-on as it was." Shandro prepared for the race but wondered if more volume would have helped. "I coach at TaG Cycling, so I do a lot of hard efforts, but they're shorter hard efforts and I think that really helped because I could use those spurts to get through the pack and into the singletrack ahead of traffic." Still, she delivered a strong, consistent effort putting her in yellow day after day. 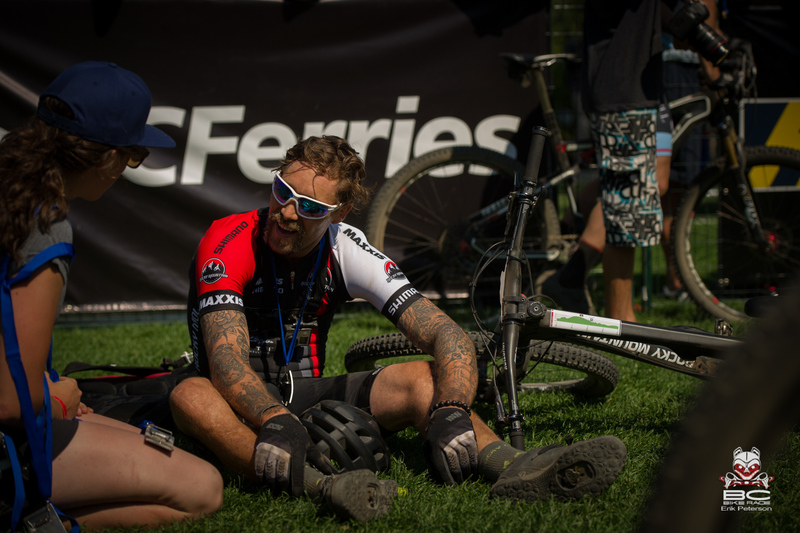 For Shandro, the real highlights of the week didn't come from the race, but rather from the people who make up the BCBR community. "I met some hilarious guys from Brazil, and another guy from a small town north of Seattle–its name means ‘Beautiful Horizon’ in Portuguese–and he had 11 guys that came out to cheer him on. Another guy was totally beat up with a floating broken rib, scabbed up scrapes, but he kept going," she said. "They were the greatest guys and I got to see them every day. Another highlight was Geoff Gulevich–every day he had a huge smile, he was so into it, did every stage and he gave it. And he wore a skinsuit on the final day! And then those guys from Florida with the speedos? Oh my god, don't you love them?" We caught up with them in some of our earlier coverage and we were thrilled to hear they were still making impressions. By way of update, they did finish all seven days aboard those hardtails but they went the extra mile as well, according to Shandro. "I had another friend from Squamish riding around them in ‘Hoods in the Woods’ in Squamish, and there was kind of a bad accident–a guy went off a cliff," she said. "Those two guys went in there, totally helped him out, went back to a photographer to get help on a cell phone, and stayed with them the whole time. They are just sweethearts. They were a highlight for me. I loved them." At the final banquet racers and crew came together one final time before saying their goodbyes. There was much to celebrate, and Whistler had almost enough beer to quench the thirst built up over a week in the sun. 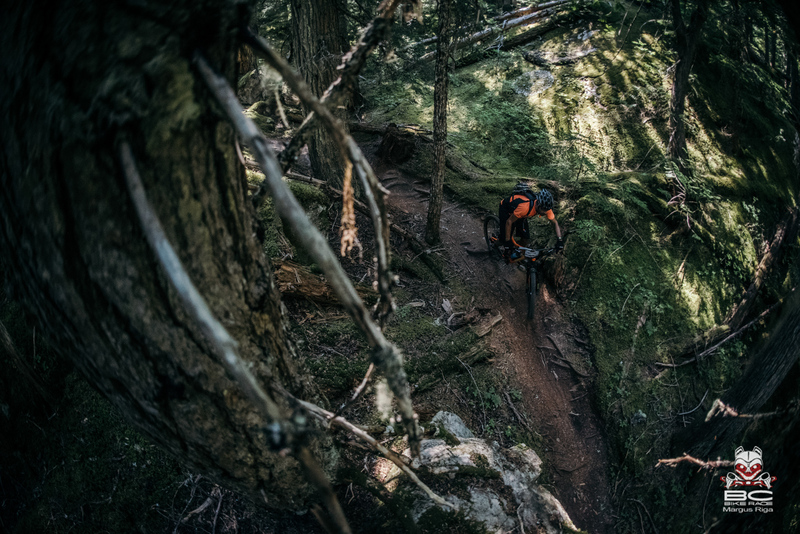 Combined with a stunning slideshow featuring the work of the on-course media crew, as well as an amazing edit showing racers and crew in motion, it was enough to make even the most tired of us want to get out and ride our bikes some more. "You spend the whole week thinking, 'I can't wait for this to be done–I need to get through this, I need to get through that,' and then when it's finally done, you're like oh…oh no!" said Shandro. "In the moment when you're grinding it out, you're like, holy cow, this can't be over soon enough. But after, when you've worked so hard, and shared that experience, that's what brings us all together. And it is such an accomplishment." 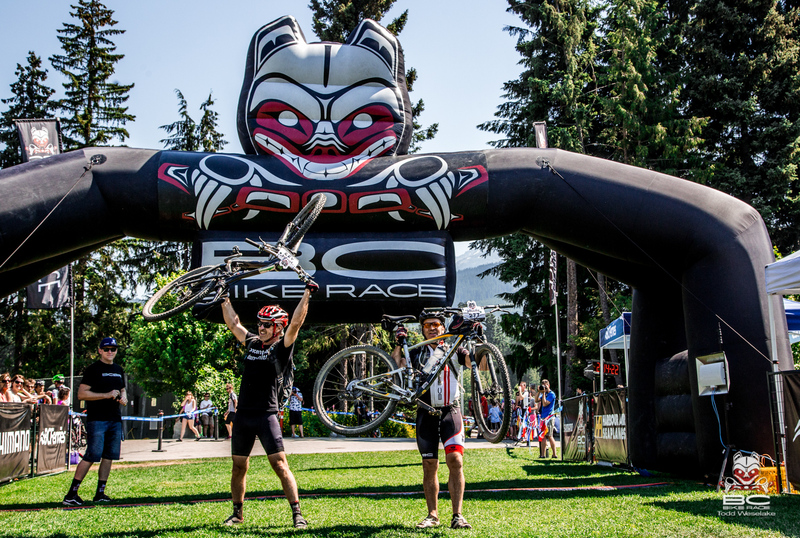 Registration for the 10th edition of the BC Bike Race opens on July 6 at noon.